Cyanogen, the custom ROM that has given much delight to the massive Android user base, has extensive plans of taking forward the Android experience. 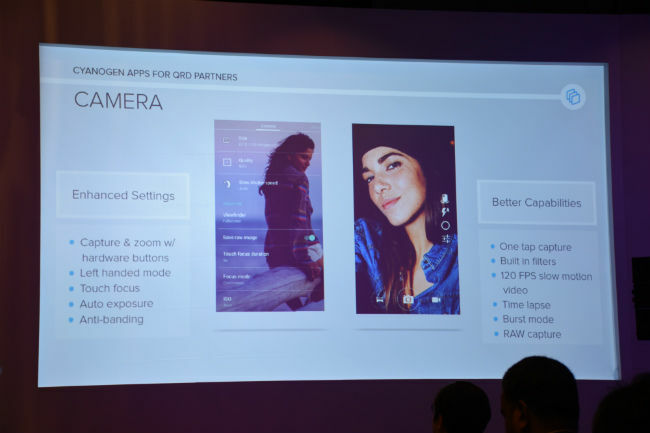 At the Qualcomm 3G/LTE Summit 2015, Vikram Natarajan, SVP of Global Partnerships and Distribution at Cyanogen gave a demonstration of all that Cyanogen has to offer to its users, and OEMs using the custom ROM in its devices. “We don’t fork Android, we enhance it,” was Natarajan’s key phrase in the Keynote. While not forking Android has allowed Cyanogen to keep a number of its key aspects intact, enhancing has meant developing a customizable UI with downloadable Themes, improving audio performance with Cyanogen’s own software-end audio-tuning engine ‘AudioFX’, custom-controlled app permissions to enhance security, and a number of other features that are already available, or presently in works, soon to be rolled out. Additionally, although imaging signal optimization and tweaks on Android devices is still left majorly to the OEMs, work may soon initiate at Cyanogen on custom, software-end improvement of the camera application to make better use of an image sensor’s capabilities. 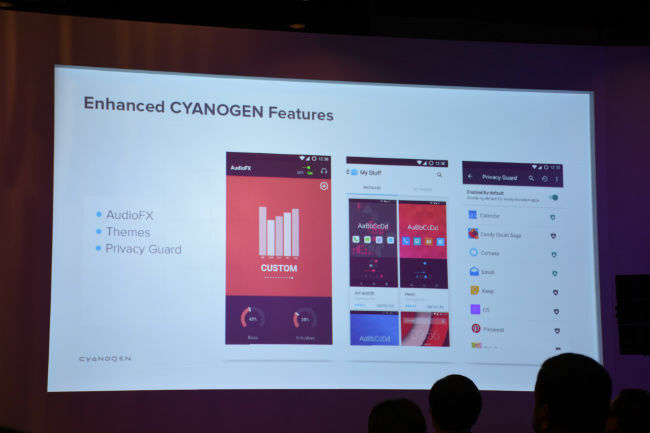 Acknowledging India as one of the more important centres of activity for Cyanogen, Natarajan stated that more customization for Cyanogen OS-based devices in India will be on its way soon. Among them, fine-tuning a compact keyboard experience is a headline. SwiftKey has recently announced its predictive keyboard support for 22 Indian languages, along with prime partnership with Karbonn, and Cyanogen can be expected to do the same. Although he didn’t confirm any partners, Natarajan stated that work is presently going on with a number of partners to bring a customized typing experience to Indian users, with messaging being one of the utmost important task that a cellphone does. One of the advantages for the Cyanogen team, Natarajan pointed out, is that Cyanogen focuses only on optimizing and making the most out of the software aspect, leaving the hardware optimization bit to component and cellphone manufacturers. 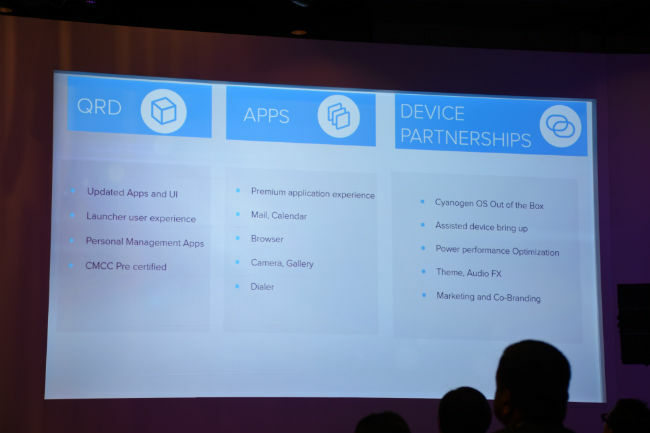 Highlighting Qualcomm’s role in taking Android and Cyanogen forward, Natarajan’s breakdown of the three partnership opportunities with Cyanogen included QRD-powered devices, Cyanogen-optimized apps for QRD partners, and Device Development Partnerships. Cyanogen-powered devices are privy to constantly updated interfaces, that have the added benefit of being customisable by users. 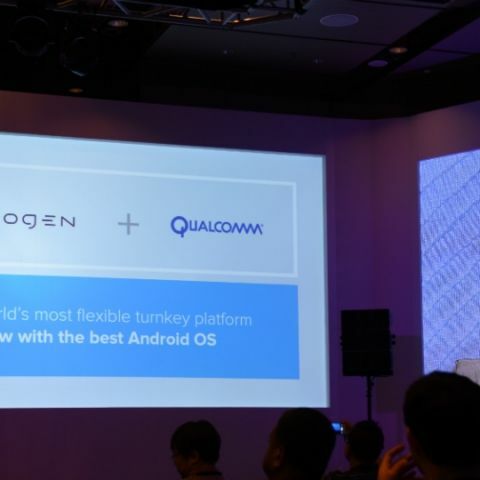 This is one aspect that Cyanogen put major focus on at its crisp, 45-minute presentation at the Qualcomm Summit – giving users complete power to customise their own usage environment. Alongside, with Cyanogen, manufacturers get faster approvals, quicker bug fixes for the Android platforms, and integrated CyanogenMOD source code. One of the aspects that will benefit both users and Qualcomm Reference Design partners alike are the presence of closed-source email and browser applications, which paves the way for a more secure environment of exchanging personal and confidential data. Cyanogen also assists the bring-up process for OEMs, assisting in device power and performance tuning, factory production assistance, Google Mobile Services and Compatibility Test Suite compliance and integration, all of which happen to be core elements of smoothly integrating customisation and applications into the Android ecosystem. For consumer-friendly instances, Cyanogen has features like integration of Truecaller into its Dialer application. This does two things – saves the need for a separate application consuming more memory on your device, and negates the requirement of third party caller identification applications that you might not trust. With Cyanogen pre-verifying application sources, you can be assured of safety of your information – a crucial aspect that makes Cyanogen one of the better custom ROMs out there presently. Cyanogen’s close integration with manufacturing and developing partners allow them to further fine tune a number of aspects of performance in Android. For instance, AudioFX by Cyanogen enhances the audio signal processor in cellphones, to give wider equaliser options, and optimise the audio delivery in phones. Privacy Guard by Cyanogen allows Android users to control which applications take permissions for respective resources. This, as Cyanogen put, amplifies its focus on complete user control and security. For Cyanogen, modifying and developing is about making Android more personal, entirely evolving the Android experience for the massive number of users, out there.